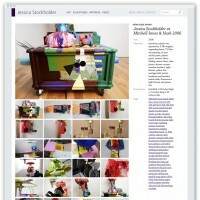 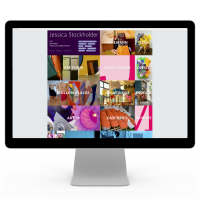 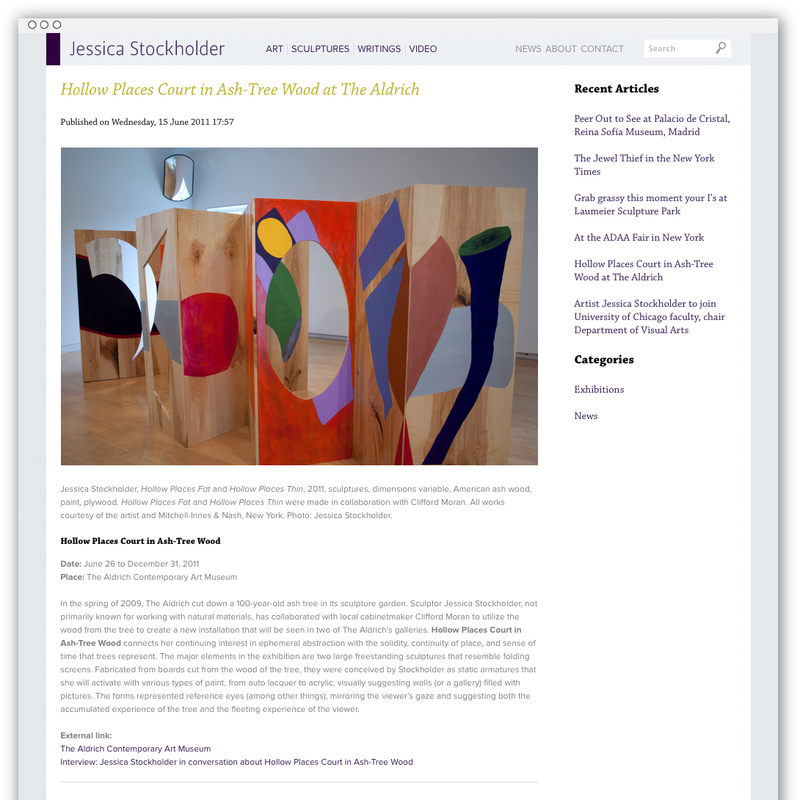 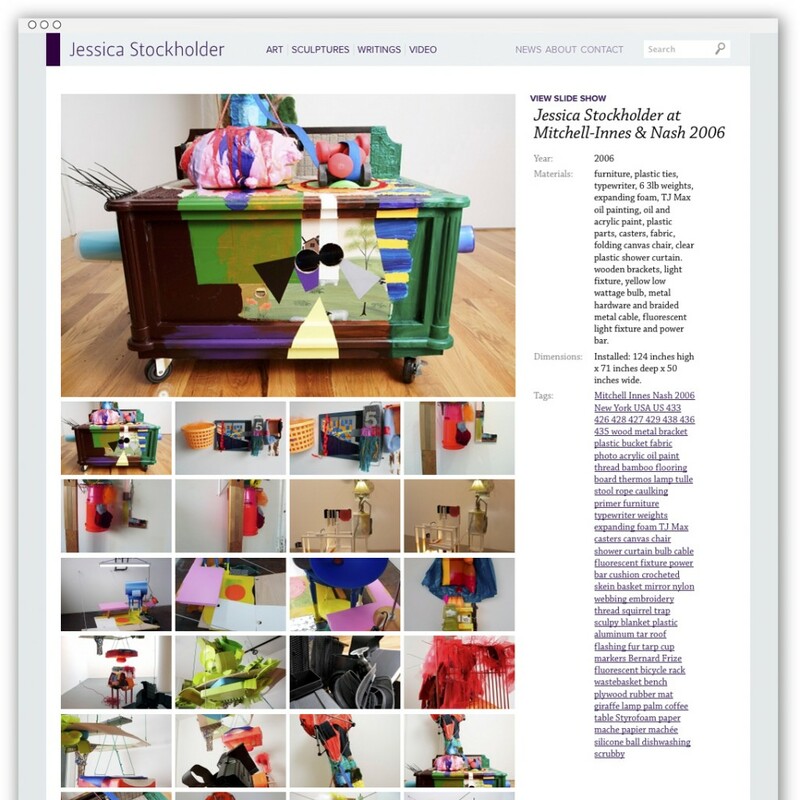 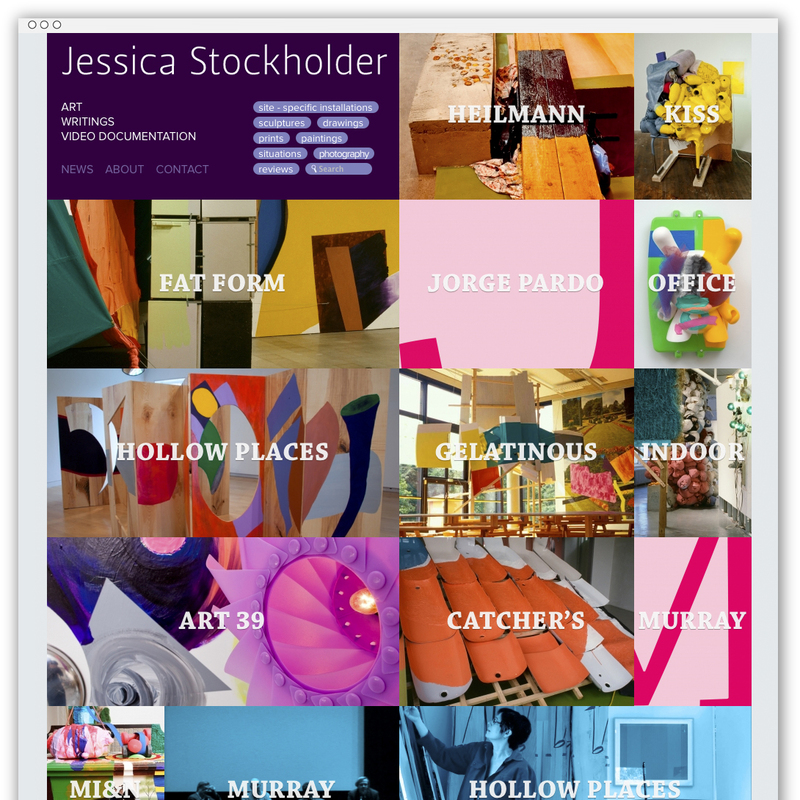 Jessica Stockholder has several decades of work she wanted to display on her Web site, including hundreds of photographs, a number of videos, and dozens of text pieces. 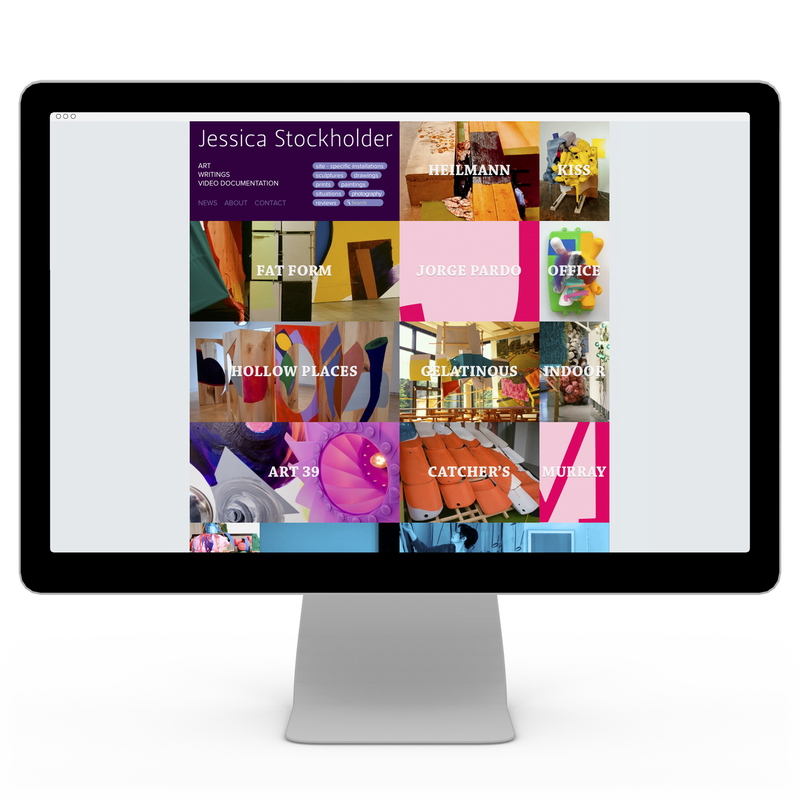 The client wanted the homepage to display a different arrangement of works each time it is visited, so we designed a flexible grid that shuffles and resizes images on-the-fly. 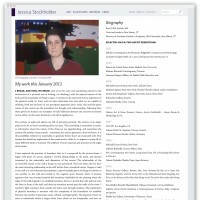 Every image has embedded metadata within it (titles, credits, materials, dates, media etc) and this metadata builds each page, so that there is no separate database of information about the works that needs to be maintained: the metadata is embedded in the master image and everything is built out of that. 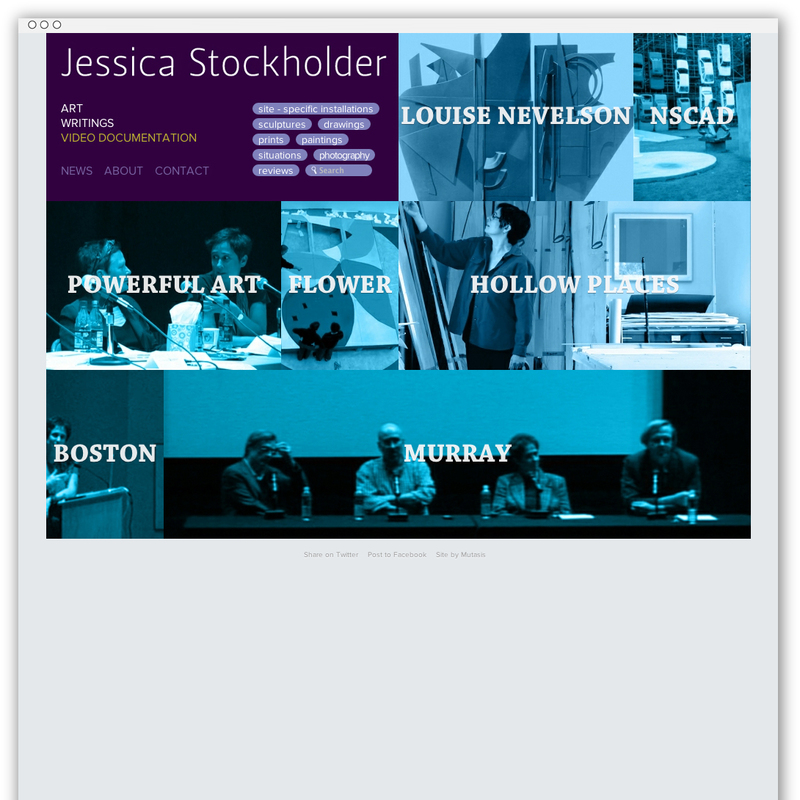 We created a custom metadata panel for Adobe Creative Suite and provided it to the client so that she could enter the information in the source images. 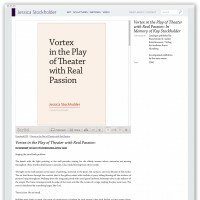 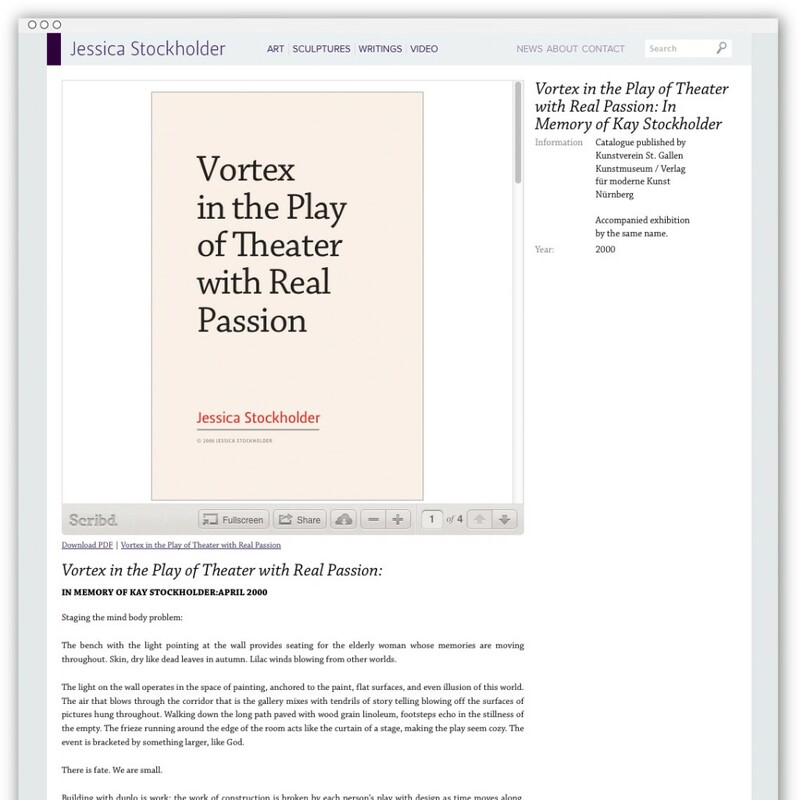 We also created templates for all of her text pieces to make a recognizable library of her writings, which are embedded in the Web site using a HTML5 e-reader. 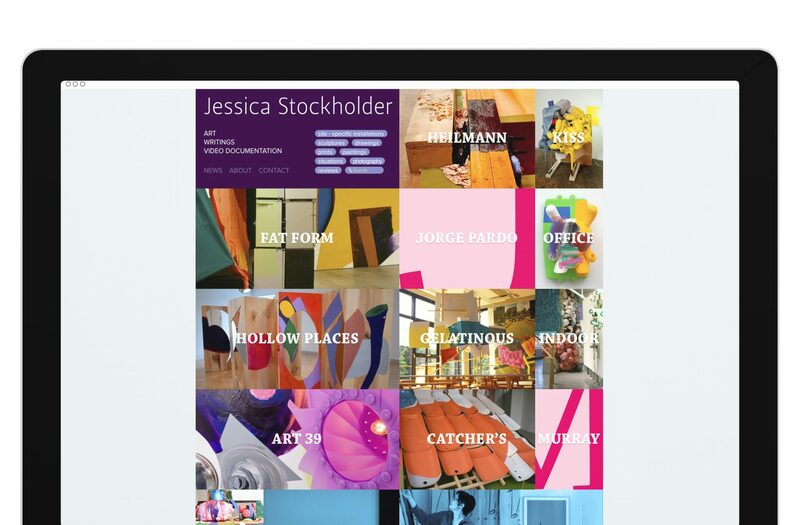 The site is optimized for responsive web to ensure it displays beautifully at different screen resolutions on a variety of mobile devices. 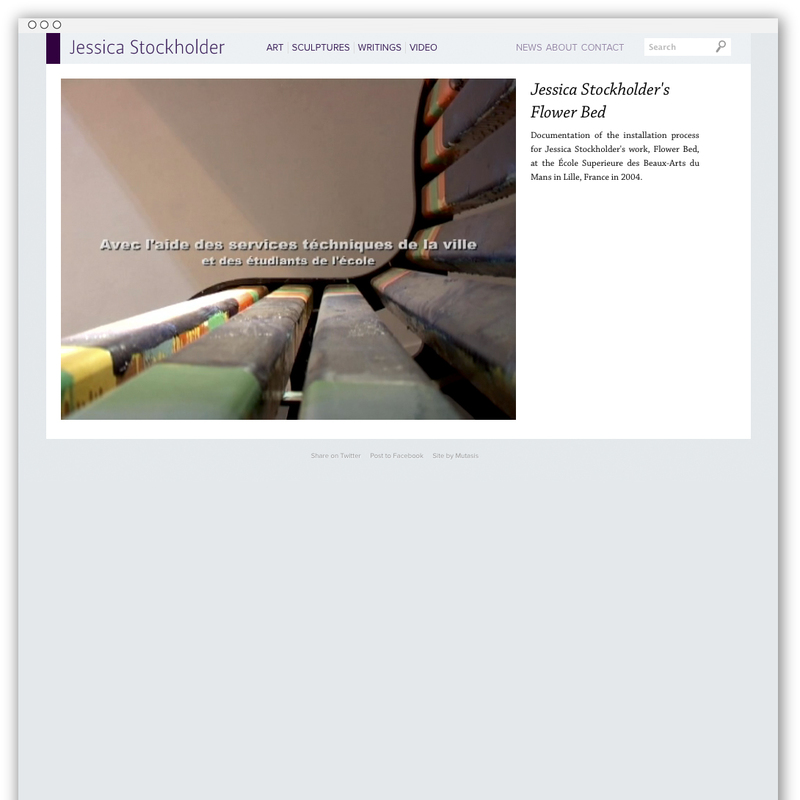 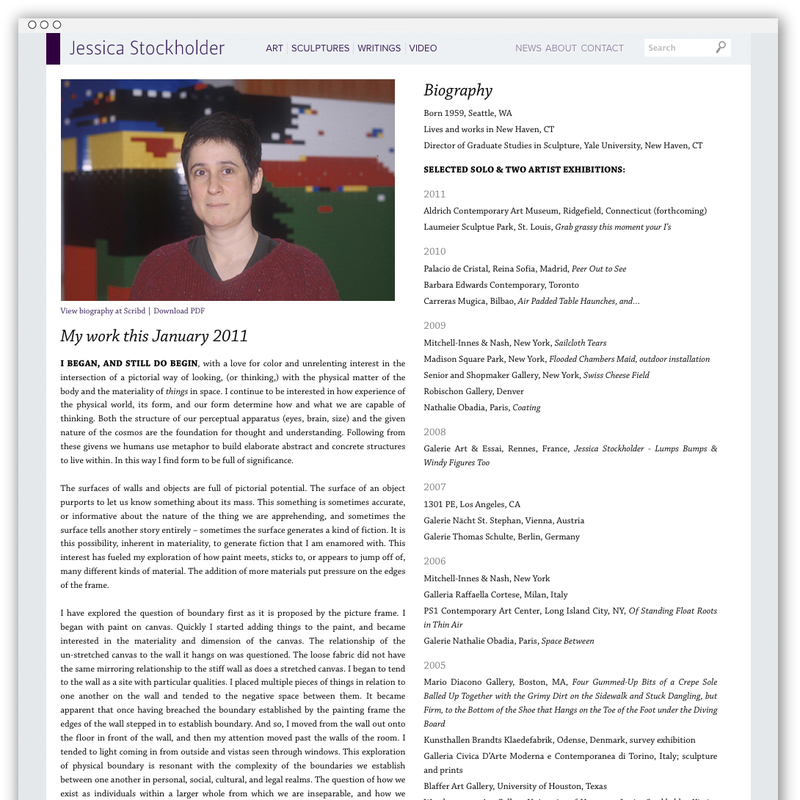 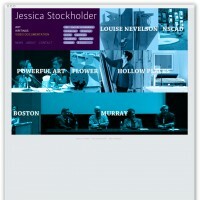 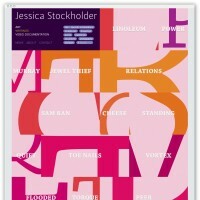 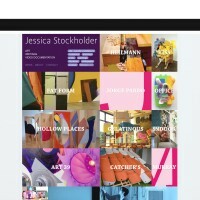 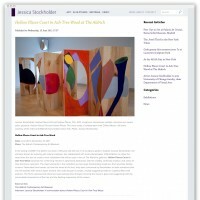 Jessica Stockholder is currently Chair of the Department of Visual Arts at University of Chicago.